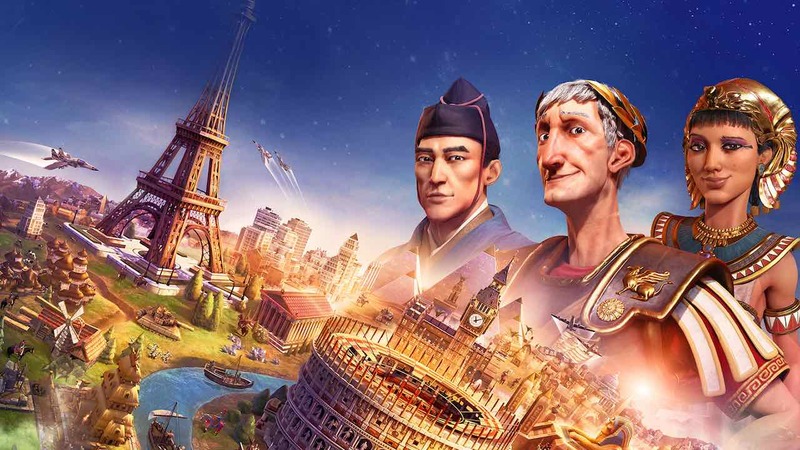 2K Games and Firaxis Games have announced that Sid Meier’s Civilization VI will release on Nintendo Switch, the award-winning turn-based strategy game in which you are challenged to build an empire to stand the test of time. It is believed to have been another surprise that was to be shared in the delayed Nintendo Direct, along with Final Fantasy XV Pocket Edition HD and the Mega Man 11 demo. Now with the chance to chase your quest for victory wherever and whenever you want, players will explore new lands, research technology, conquer their enemies and go head-to-head with history’s most renowned leaders in an attempt to build the greatest civilization the world has ever known. With 24 different leaders from countries around the world and throughout history to play as, you can cooperate or compete with up to four players over a wireless LAN. There are also four playable scenarios to tackle, each with their own setting and gameplay styles that are inspired by history. The Nintendo Switch port has the latest game updates and improvements, and comes with downloadable content that adds four new civilizations, leaders, and scenarios in the Vikings Scenario Pack, Poland Civilization & Scenario Pack, Australia Civilization & Scenario Pack and Persia and Macedon Civilization & Scenario Pack. Sid Meier’s Civilization VI will release for Nintendo Switch worldwide on November 16th.